December 2017: Care to Help completed a new well project at Bao Tuan Village, Vietnam. This is the second well at Bao Tuan, and soon, virtually everyone in the village of approximately 1000 people will have running water at their homes for the first time. Care to Help continues in serving the water, health, and educational needs of the people of the Central Highlands region in Vietnam. Click here to view some of the work and memories made! 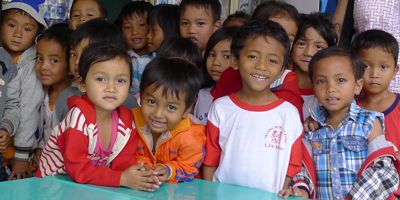 Care to Help has been building safe water wells, and schools, in the Central Highlands of Vietnam since 2002. Our projects are made possible by the donations of private individuals, if you would like to help us with this work, please consider making a donation. Click here to download the Care to Help informational brochure. Video: click here to visit our 5th project, Lang Cu Village, in November of 2007.